EE has staked its claim in the international calling market, going up against the likes of Lycamobile and Lebara. The network has launched new International and International Extra packs, removing the need for international callers to use additional apps, extra SIMs or calling cards. Instead new or upgrading EE customers can us the plans, starting from £10 a month, to call both international landline and mobile numbers. This will cover destinations such as Australia, India, Ireland, France, China and USA, with users required to pay a premium on top of current contracts for a minimum term. Sunetra Chakravarti, editor of Mobile Choice, believes that EE’s move to offer calls to popular international calling destinations might see more operators do the same. ‘Virgin Media have a similar package for their landlines as do O2 for continental Europe but where EE score is through their choice of countries on offer and that all important call price of 1p/minute which is a mantra for international calling card companies and MVNOs’. The announcement comes in the same week that the European Parliament voted to end roaming charges by June 2017. The ruling will see networks unable to charge consumers for making cross continental calls, however the regulation will rely on the co-operation of mobile operators. 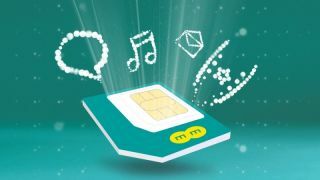 EE’s international calling packs see the network continue to compete with rivals in the roaming space. It comes as Vodafone announced it was scaling up its 4G data roaming, enabling consumers and businesses to use bundled calls, texts and data in eight new countries.